was in college, in front of a panel of judges from General Motors and the media. The thrill of winning 2nd place in a national advertising competition left its mark. I was in love! In the latter half of my corporate career, I translated the art of listening well into problem solving and facilitating around a boardroom table. In fact, a colleague reportedly has walked around the world saying “That Kim Page (Gluckie) sure can work a boardroom.” Quite the compliment, in context with how tough a boardroom crowd is to win over… from electric utility button-up shirt types to engineers, I embraced the challenge of getting poignant marketing ideas across and getting them on the same page! Here’s the thing about me though… I’m an introvert. If the first time you meet me is from the stage, you won’t know it. In fact, I was called out at Real Growth Retreat for Women by a photographer… she observed me speak and teach, she enjoyed my dynamic style and my love of the opportunity. Then she observed me sit towards the back for the other presenters and not speak much at all. Being an introvert benefits you! I was listening. I was processing. I was observing. She was right. I am not an extrovert as many would think. I gather my ideas and insights from observances around me and appreciation for the problems people genuinely have. I save my energy for delivering all that with enthusiasm in killer outcome-focused presentations. My style is defined as sassy, passionate and professionally casual. I’m adored for cutting through the crap and delivering great content that is current. I’m also super comfortable making others comfortable by simply being myself – telling stories, reassuring with reality, laughing at myself and being real. I despise fluffy presentations with no meat. I love delivering levity to heavy or overwhelming topics, with a bit of laughter and a whole lot of reassurance that success is ahead! Interaction, when audience size permits, is encouraged and critical to the overall success of a presentation. As a skilled moderator and faciltator, I am capable of delivering a planned presentation, rolling with any required conversation changes and incorporating an audiences’ questions on the fly! I still get butterflies every time, but nobody ever knows. It’s because I care to make a big impact in the short time you’ve hired me for. I’m not dead inside. I’m not a robot. I’m totally confident I can deliver what you need, but I get butterflies, because I care. Awwww. I think speakers who “sell from the stage” are slimy. Hey, we all want to grow our businesses, but if you hire me to make an impact to your audience, I’m using your stage to talk about your audience, to your audience. We can figure out other ways to let them in on how to connect with me privately. My dreamiest presentations are in a cozy environment to groups of 20-100, with flipcharts and Sharpies and lots of nodding heads and busy bouncing pens. For even the most advanced technology, low tech presentations make the biggest impact! Whether I’m speaking from the stage or facilitating in a smaller crowd, I’m a firm believer in the transfer of ideas with good old paper and pen, for both myself and the audience. Some subjects and audience sizes simply won’t succeed low tech, so clipping on a mic and supporting a good in depth discussion with some killer power point slides is totally acceptable too. I’ll help you decide what format is best for your audience! Okay? Let’s figure out how together! Well hey, I can be an “expert” about lots of things, plenty of things your audience might need to know. A few of those ideas are below. But here’s what I will ALWAYS talk about, no matter what the other details are shaped around it… people matter, relationships matter, community matters, truth matters, feeling great about what you do matters. And these are the tenets for growing businesses that matter and living a life that matters. I can just talk about all that and make an impact your audience will feel for long time! Sticktoitivity: Walt Disney coined this term, related to persistence and determination. Kim shares the reality and roadblocks of business growth through stories, insights and opportunities that will ensure you are still in business 5 years from now (or longer), when you adopt Sticktoitivity. Kim will share her deliberate approach to slow and steady growth, in a world that pushes entrepreneurs to go “all in”, and the strategies that have allowed her to build an unshakable brand and customer confidence. If you are looking to inspire your audience with practical advice, and motivation to keep going at any pace, this is the success conversation for you. Growing a Business Without Losing Your Mind: Kim shares how there are critical and beneficial resources WAY beyond just time and money required to create a successful foundation for small business management, applicable for any solo entrepreneur or not for profit organization struggling to manage day-to-day decisions and growth in a world of opportunity, ideas and technology. Learn hands-on strategies to create exceptional growth when “not enough time” and “not enough money” are the constant conversation holding you back. Truths in Mompreneurship: Kim started her solopreneur journey with a baby, a two year old and a four year old. Somehow, she’s still in business! And the now school aged daughters are turning out pretty fantastic too! Kim will talk about why she despises the term mompreneur, even while embracing it; why it’s critical to debunk the myths of balance and time management; how she migrated from corporate career superstar to solopreneur; why she stopped hiding she was a mom and how it grew her business; and her critical steps to creating a long-lasting business with babes underfoot. How To (insert nearly any marketing or social media subject here): As a business generalist, Kim is well versed in prescribing strategic how to insights with stories to back them up. From “how to”: design a social marketing presence; incorporate real world challenges into a bigger marketing picture; avoid pitfalls around pricing; and more, Kim can custom craft a presentation that leads your team into new understanding that directly links to your business goals. Review a Twitter synopsis and kudos of How To Get Over the Fear of Blogging from BlogWest in 2012. Every Employee Must Be a Marketer: While I’m a firm believer in the marketing and communications department, the truth is, every company of every size must embrace that every person is now a walking billboard for the organization. In this social era, where everyone has an online presence somewhere, the line between privacy and persona is thin. The thinner the line, the greater the opportunity and the greater the risk that an employee can single-handedly market your business. Is this in your favour or is it going to damage you? Discover how to leverage your employees as the champions they are, while infusing a respect of their social spaces. It’s a fine line. Can you walk it? 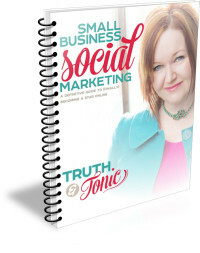 I’ve experienced a blog workshop and a speaking engagement about Marketing your Brand with Kim. Both times I left feeling motivated and inspired to apply what I learned to my own business & blog. I especially like her style of mind mapping. I’ve been able to implement it into other areas of my life – not just business. It’s THAT good! Kim’s approach is professional, with a little sass and a lot of solid knowledge. She can help bring your brand to life! Kim’s presentation at Brighter Business Empower on “Blogging for your Business” was so inspiring. I personally came away buzzing with more confidence, energy and ideas about blogging for my own business. Kim was so engaging. I just loved every second of her talk. Thanks so much for the motivation to get started! In fact, I started right after you spoke! As a small business owner I knew of ‘blogging’ but I didn’t know where to start, or if it was relevant for me and my business. After hearing Kim speak about the power of blogging I knew that I needed to do it, or at least try! She made it easy to start, put your fingers to the keyboard and just start to type! Type about your products, your life, your business struggles, just start typing. I thought it was great, it will bring a more ‘human’ feeling to my company which is widely promoted via social media and radio. Kim was great, she is very down to earth, and she gives ‘real world’ techniques to help get you started! I recommend Kim to anyone! Kim was our guest speaker for Brighter Business Empower Series of Seminars. Our members have owned their own business between 1 and 5 years. The talk she gave about “Blogging For Business” provided our members knowledge about blogging and key points to blogging for their business. Kim also provided many great tips to get them started right away. Right after hearing Kim’s inspiring and encouraging words they got right to work. Blogging for Business is a MUST in today’s business world, and thanks to Kim, Brighter Business Empower members are writing up a storm! Thanks KIM! !